What happens when you work your way through the ranks of the contact center, spend a few years developing training and certification programs for the world’s leading customer experience organizations, conduct numerous pieces of research as an industry analyst, launch a consulting firm, and then land a job at the fastest-growing contact center technology company? You gain an interesting perspective on what matters most to those responsible for delivering service to customers. And what I’ve observed from these experiences over the past 20 years is that in many organizations the gap between executive vision and strategy and the front line's ability to execute is growing, not shrinking. The CX chasm, as we’ll call it, is an unintended consequence of misunderstood expectations, misaligned business objectives, and decades-old perception of the contact center’s role. It’s the front-line employee who lacks empowerment to help the customer, the process that sits with a business division because “we’ve always done it that way,” or the ineffective legacy technology that’s not going away due to the significant debt that remains. Business leaders don’t like this void, but they tolerate it because they underestimate the negative impact or cannot articulate the immediate financial risk of their complacency. They settle for the status quo while the long tail of a deteriorating service experience may boil their contact center to death. This shouldn’t be the case, as the early indications of the CX chasm are visible and redeemable if addressed sooner rather than later. Employee engagement diminishes with tenure -- When new employees join the contact center, they’re almost certain to experience the honeymoon period. They’re more forgiving of system shortcomings, idealistic in their company outlook, and open to trusting the leadership and guidance of those around them. And then it all gets old. One of the first indications of the CX chasm is the level of frustration and inconvenience that systems and processes cause in front-line employees. Here’s why: Most contact center agents genuinely want to help their customers. It’s a big part of why they join an organization and a key factor in whether they stay. If contact center agents are telling you that their tools are causing their jobs to be more complicated than they should be, heed it as a strong warning. My previous research revealed that ineffective tools are second only to poor leadership in causing contact center employees to quit. Customer dissatisfaction grows while the product improves -- You’ve heard statistics or quotes that companies need to compete on the customer experience over price and product, but you’re unsure of what that means for your organization. Competing on the customer experience isn’t about difficult-to-replicate, over-the-top antics. At its core, a differentiated experience is one that delivers consistency, convenience, and continuity across the customer journey. Whether your organization offers service through one channel, or 17, it’s viewed as one thing by your customers and they’ll grow dissatisfied and disgruntled when their journeys are clunky and disconnected. How can you tell that the CX chasm is driving customer dissatisfaction? Go beyond the typical post-interaction survey to collect more comprehensive and prescriptive insights. Consider a proactive survey to your entire customer base regularly or empower front-line employees to collect and share voice of the customer feedback. Systems and process don’t scale with agility -- If there’s one constant in the contact center, it’s the likelihood of change. Whether it’s new customer offerings, the expansion of service channels, an increase in the number of contacts, or shifts in business demands, things don’t stay the same. But, it wasn’t always that way -- at least not for the need to scale operations quickly and efficiently. The pace of evolution that’s required to keep up with today’s business needs is greater than ever before and the supporting technologies and processes need to keep up. In my time as a consultant, one of the top frustrations that clients voiced was the burden of technical debt and the cumbersome nature of antiquated, on-premises technologies. They needed to be agile with their systems to avoid the CX chasm but couldn’t avoid the snail's pace required to make much-needed modifications or updates. It’s not a sustainable way to do business, but you can remedy it with a shift to cloud-based solutions that support a best-in-breed approach to scaling and supporting your business demands. 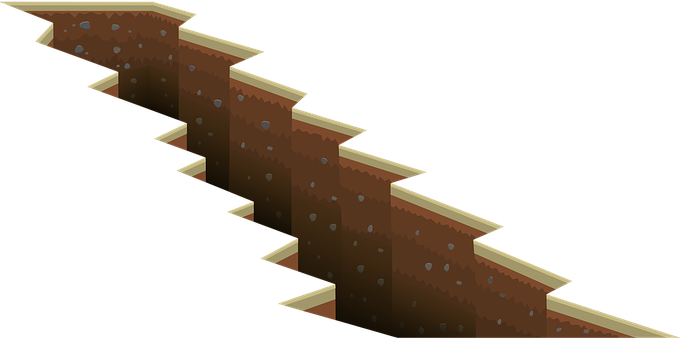 The CX chasm is a scary place to find yourself but you can avoid it by knowing the warning signs and taking the right precautions. If you’re ready to learn how Talkdesk is helping organizations avoid these common challenges, click here.